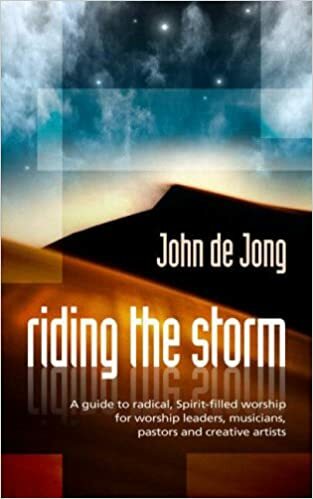 For author John de Jong, the 'storm of the Lord' has become a metaphor for the powerful presence of God. This book based on John's teaching at Manchester Vineyard's Creative Worship Centre gives a solid theological foundation for a radical, spirit-filled worship that will transcend boundaries. De Jong prophecies that we are rapidly approaching a season of great change where God 'shakes once more the heavens and the earth so that which cannot be shaken will remain.' God is preparing his people for a season of 'shaking' that will challenge many of our accepted religious practices and beliefs. The author explains both how we can engage in worship which rises above the storms that the enemy throws in our path, but more than this, how we can co-operate with God in the storm which He is bringing to reshape our landscape. De Jong beautifully combines his prophetic insight with down-to-earth, practical insights and guidelines for all who desire to engage in a more dynamic and intimate form of worship than ever before.